When you put electrodes on my head, can you see how annoying I think you are? Connor doesn’t talk, but I imagine that’s what he would have said yesterday if he could. 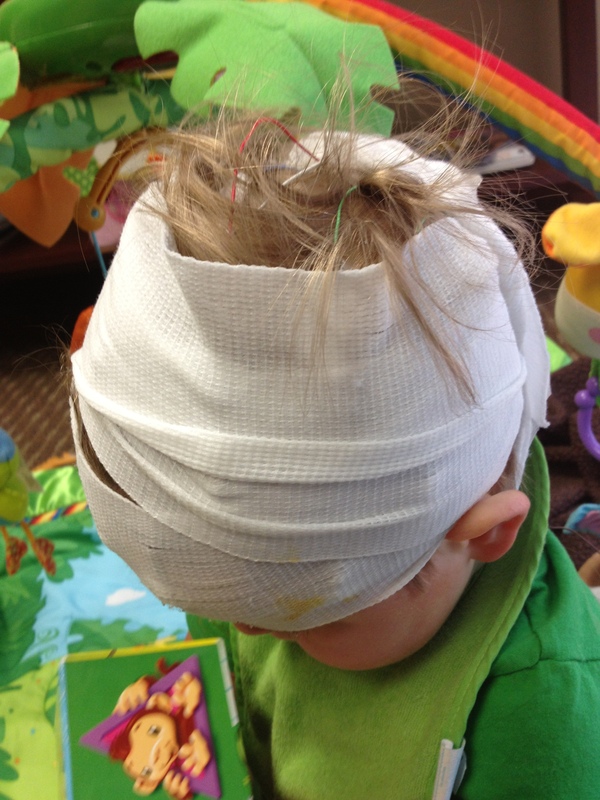 A whole day without his cranial remolding helmet, but he ends up with electrodes and gauze everywhere. And you might think, oh, poor Mixed Up Mommy. 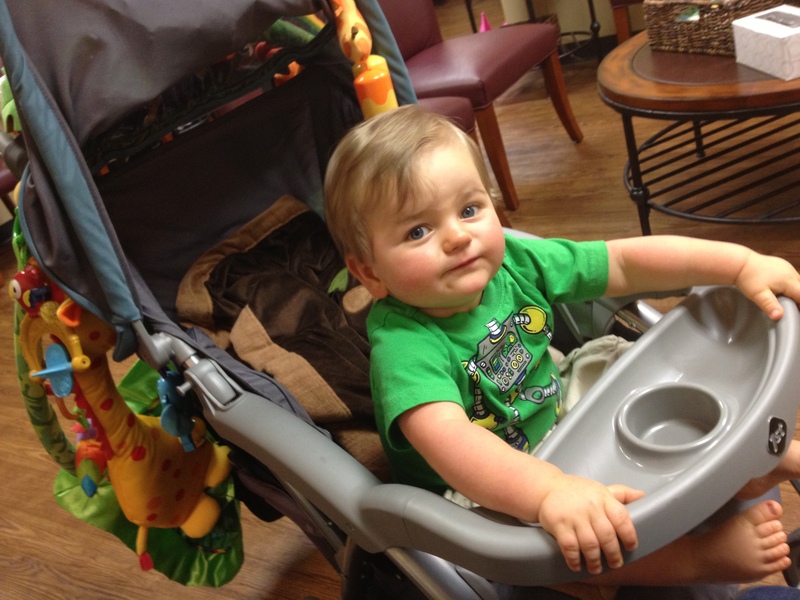 Having to spend eight straight hours in a doctor’s office while Connor has an EEG. Actually, I’m pretty sure nobody is thinking that, but that’s okay. As long as it doesn’t involve a check-in at Scottish Rite, I’m fine. What? No helmet today? Sweet! Oh. You weren’t real clear, Mommy. Thanks for nothing. 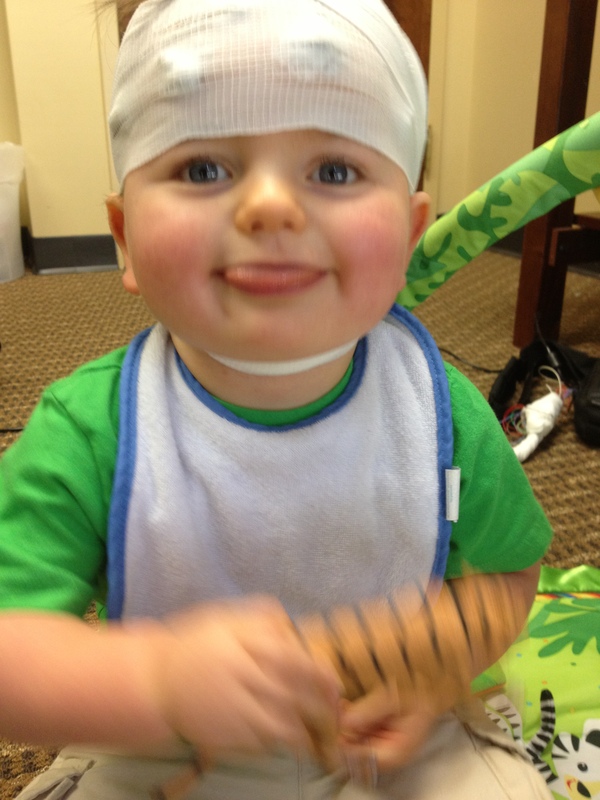 This EEG was a little more challenging now that he is mobile. There was a lot of rolling, tangling and attempts to play with cords. But considering only one electrode ever fully came off his head, and I was able to reattach it, I consider it a victory. We read some books, played, I worked on an article and we took a long nap together on his jungle mat. 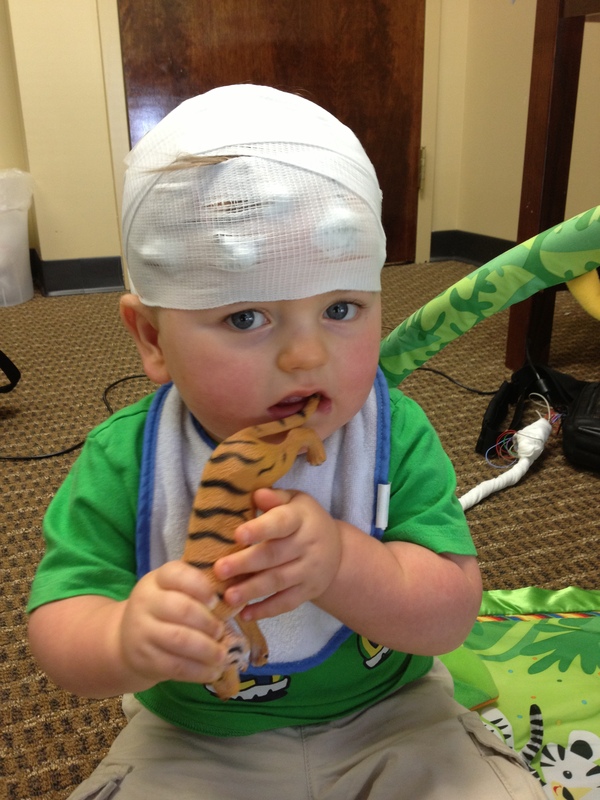 The EEG was just a check-in to see how things are going since we are starting to wean him off the vigabatrin. His spasms have been controlled since last September, so we’re hoping there’s no more need. We introduced Trileptal a couple weeks ago to see if that, along with the Keppra, will knock out the complex-partials he’s been having. It seems to be helping as they have become fewer and farther between. He had none yesterday, naturally. 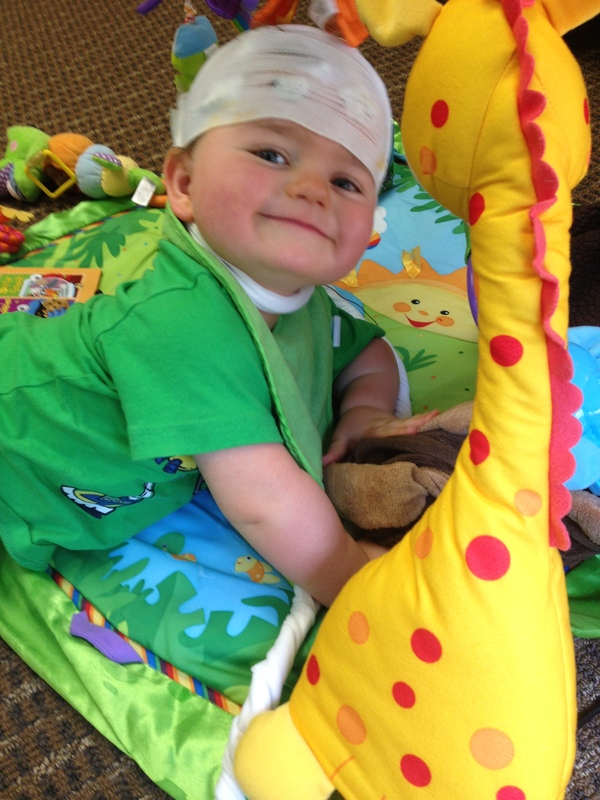 Overall, he’s doing well in the seizure department. Even though he’s not totally free, the few he does have are 10-20 seconds of pursed lips and staring and he snaps right out of them. 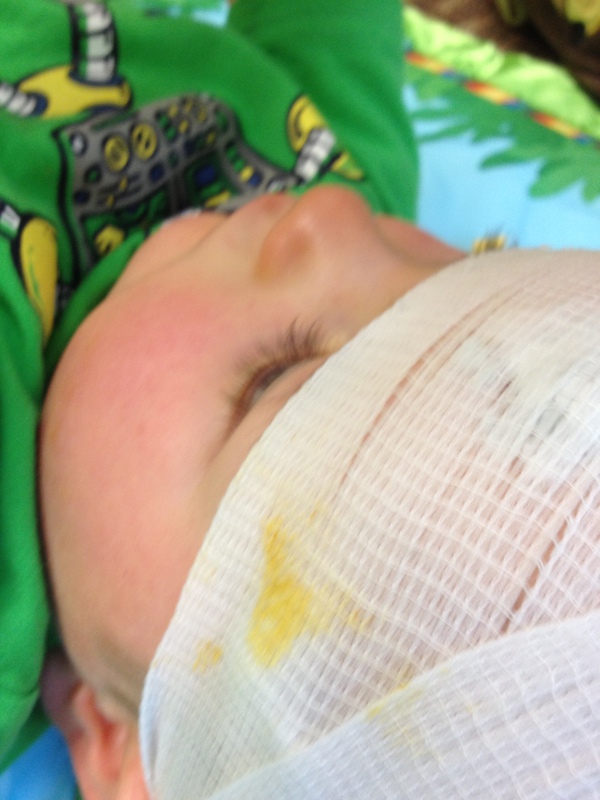 I think the EEG will look as normal as it can — meaning his EEG will probably never truly come back normal due to the tubers, but that’s okay as long as nothing is going on that negatively affects him. 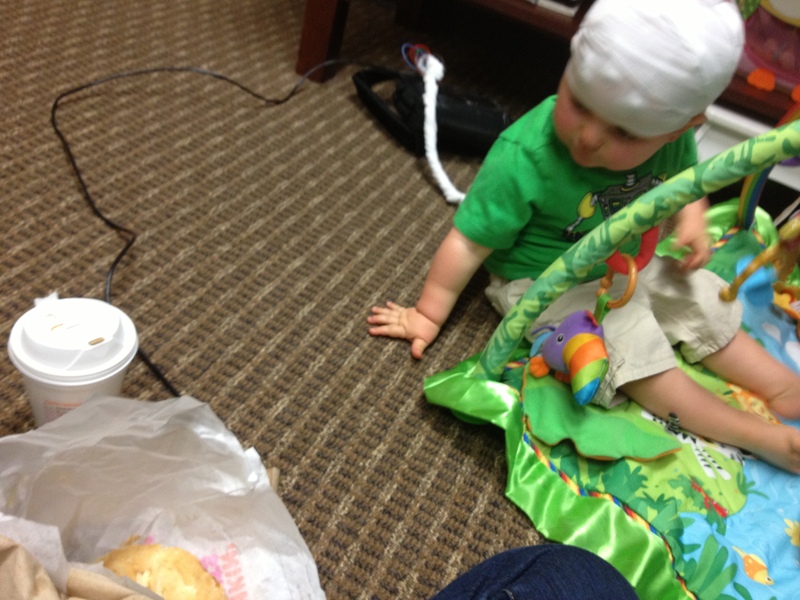 Aren’t you going to share your Dunkin’ Donuts, Mommy? 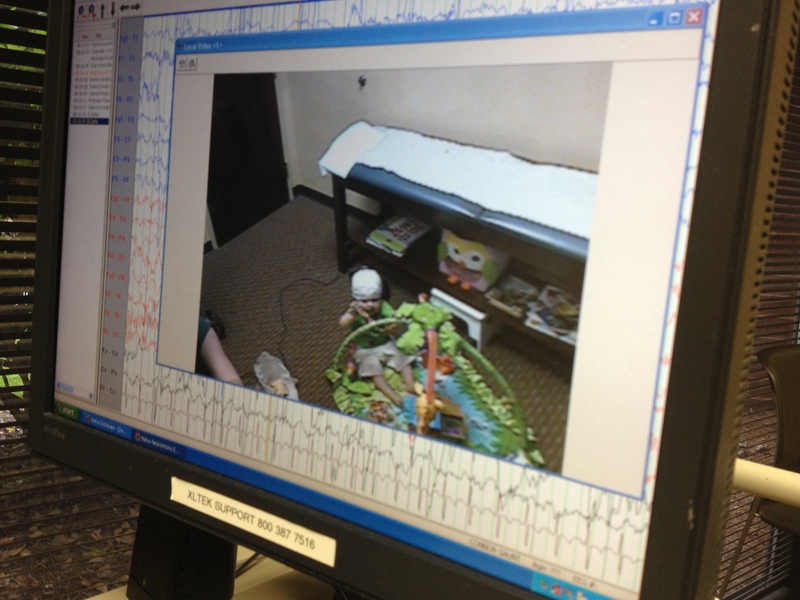 So sweet to share your chicken noodle with the EEG machine. That’s cute that you big people think you can keep my head wrapped in gauze for an entire day. Previous PostSweet Dreams? Not Likely.Next PostAt least we have an efficient government…nope, couldn’t type it with a straight face. I just can’t get over how cute he is!